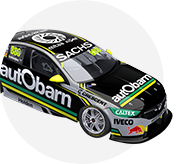 2015 Bathurst-winning co-driver Steven Richards has topped the co-driver only practice session at the Wilson Security Sandown 500. 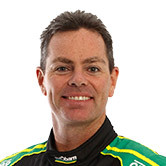 The four-time winner at Mount Panorama, who pairs with Craig Lowndes, recorded a 1min09.7418. Tony D’Alberto, in the DJR Team Penske Shell liveried car, was just one tenth behind – he shares with Scott Pye. The fastest time in the primary drivers’ session was a 1min09.1233 set by Fabian Coulthard. It wasn’t a completely smooth session, with the Freightliner Racing Commodore stopped on track with five minutes to go, triggering a red flag. Co-drive Ash Walsh was able to get it fired back out and while Brad Jones Racing checked the electrics, couldn’t find the cause of the issue. After the chequered flag, Todd Kelly’s co-driver Matt Campbell was stranded out on track. There was plenty of action at turn one with the co-drivers slipping off the road as they pushed the limits, and Dean Canto off the road on the final run. “The second set of tyres we had on were reasonable. Car feels good like anything we’re trying to get our eye in and do a longer running with more of a racy car,” Richards said. “Even though the layout looks reasonably simple there’s plenty of challenging aspects to it. 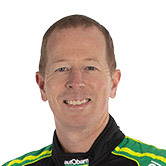 Warren Luff, who is defending the Pirtek Enduro Cup with Garth Tander; Dean Canto, with Mark Winterbottom; and Jonathon Webb with Will Davison completed the top five. The co-drivers will get a final half-hour run at 4.35pm this afternoon, with primary drivers allowed to complete one practice session tomorrow morning before qualifying.